Dr. Wei provides consultative functional medicine services only. Although she continues to be board-certified in obstetrics and gynecology, she has chosen to devote her time fully to functional medical care. 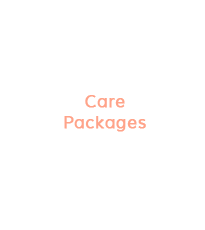 She does require that you have ongoing regular care with your gynecologic care provider and with your primary care provider. If you do not have a gynecologic care provider, Dr. Wei is happy to provide references to providers who support a holistic approach to women’s health. 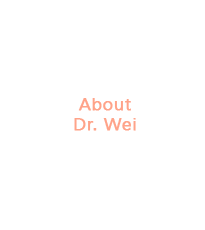 If you are interested in working with Dr. Wei, please provide your contact information through the contact page, and we will set up an appointment time for you to have an initial consultation with Dr. Wei. 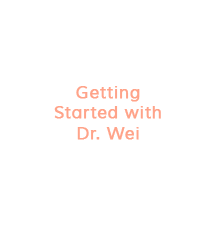 Dr. Wei’s practice focuses primarily on concerns related to fatigue, GI problems, depression and anxiety, difficulty maintaining an ideal weight, and female hormone balance issues such as menstrual cycle irregularities, fibroids, endometriosis, PMS, PCOS, fertility, perimenopause, and menopause. Prior to your visit, Dr. Wei would like for you to take some time to reflect about what issue or issues are bothering you most. After making your appointment, you will be sent an invitation to the patient portal of Women’s Holistic Health LLC. After registering for the portal, you will be able to fill out all pre-appointment information through the portal. In addition to the information provided on the patient portal, you will be invited to fill out a patient intake form through the EMR program. Dr. Wei asks that these materials be fully completed 72 hours prior to your scheduled appointment time so that she can review the information thoroughly prior to your initial appointment. Please plan to arrive 15 minutes prior to your appointment time to complete paperwork and take some time to meet our office manager. She will be helping you with any questions and concerns you may have while working with Dr. Wei. During your initial consultation with Dr. Wei, she will sit with you for 75 minutes to listen to your story while reviewing the information provided through the Power 2 Patient patient portal. She will then talk with you about the next steps to determine what you personally need to address the issues that are bothering you the most. If you have not already started lifestyle changes with diet, exercise, sleep, and stress reduction, she will counsel you regarding getting started with these foundational tools. You will discuss different recommendations for functional medicine testing . After your consultation with Dr. Wei, you will schedule a time to meet for 60 minutes with our highly experienced Functional Medicine nutritionist, Holly Niles, MS,CNS, LDN, CFSP, and may purchase some supplements to get you started, as well as purchase lab kits to start the evaluation of the underlying causes to your symptoms. You can then schedule a follow-up visit in 4 weeks to review your lab results. Depending on how many lab tests you have decided to complete, you will be scheduled for a 25 to 50 minute follow-up visit. The first follow-up visit will involve a review of lab results and how you are feeling with starting lifestyle changes. You will be able to purchase most supplement programs directly in the office, or you will be able to purchase other recommended supplements through our online stores with Designs for Health and Fullscript. After the second visit to review lab results, Dr. Wei recommends seeing her every month for the first six months of your personal program. Retesting usually is recommended after 6 months of a program to evaluate your progress and to know whether any changes are needed. The purpose of seeing her monthly is to discuss any changes you’ve observed, to address any issues you may be encountering, and to receive continuing support and encouragement for the life changes you are now embracing. Dr. Wei may also recommend that you continue to consult with Holly Niles, our Functional Medicine nutritionist, and/or work with a Functional Medicine coach for further support. 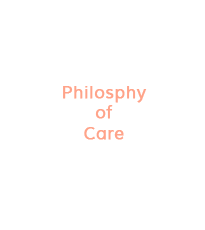 The contents of this website are for general, informational and educational purposes only and are not intended to be a substitute for professional medical advice, diagnosis or treatment. Always seek the advice of your physician or other qualified health provider with any questions you may have regarding a medical condition or before making any health care decision or undertaking any change in diet or exercise.